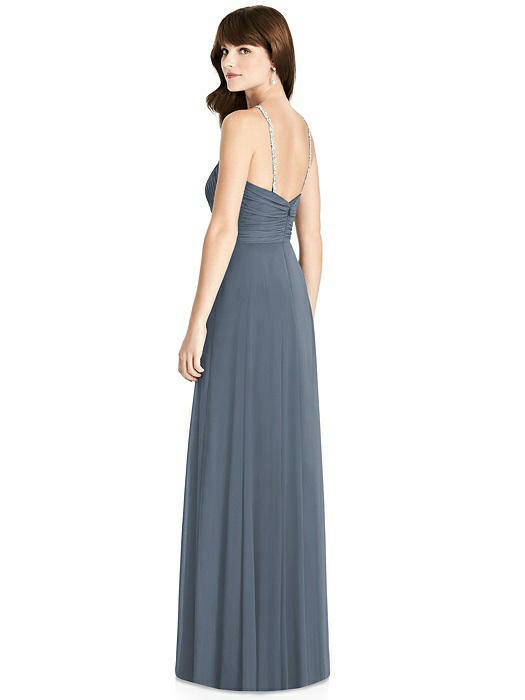 Full length lux chiffon dress with modified halter twist detail and silver beaded straps. Rouched detail at bodice and inset waistband. Circle skirt. Beading always silver. 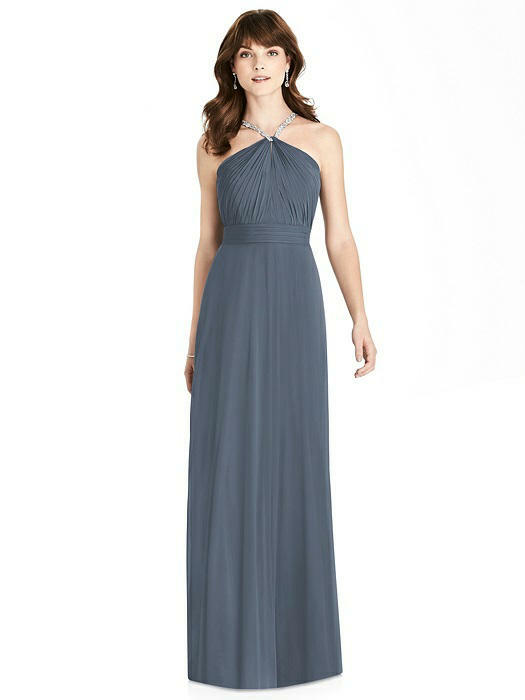 Available without beading as style 6783.